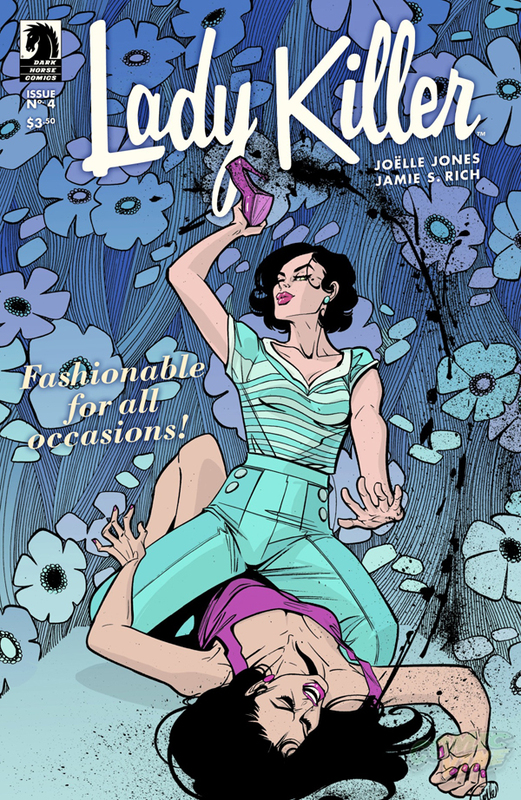 Comic fans got their first chance to pick up Lady Killer #1 when it hit the stands on January 7, but for creators Joëlle Jones and Jamie S. Rich it’s been a long time coming. Joëlle first brought the idea of a 1950’s housewife-turned-assassin to Jamie about four years ago, and he instantly loved it. However, their busy schedules kept them from working on it for quite some time. 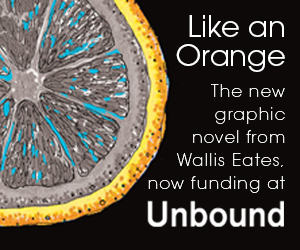 Luckily, when it was ready, Dark Horse Comics jumped at the opportunity to publish it. Just before the release of the first issue, and with their comp copies fresh in their hand, Joëlle and Jamie joined me for an interview at the place where it all began; a Portland dive bar called The Cracker Jack, where they’ve been meeting up for all these years to discuss how to make Lady Killer a reality. I’d like to start back at the beginning with what was, at least for me, the first time I saw this character, Josie, from Lady Killers. 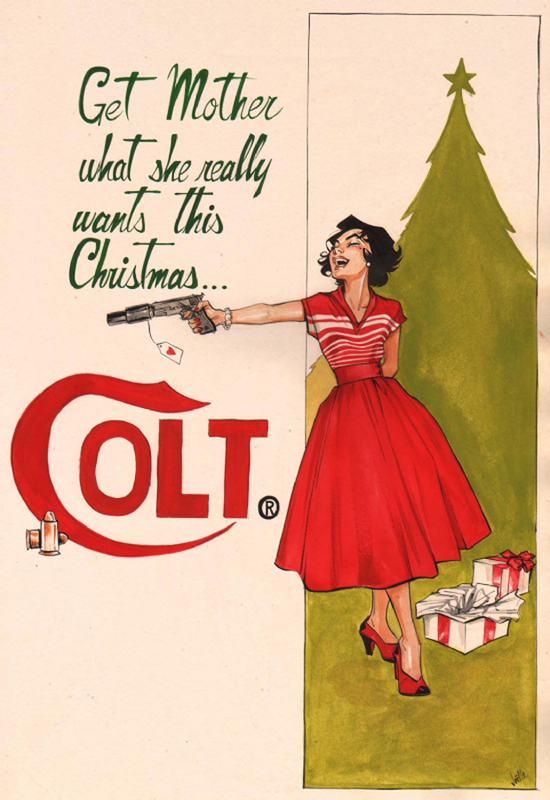 You drew these amazing illustrations that were parodies of old 1950’s advertisements, but they were selling products she was using to kill people, like arsenic and pistols. 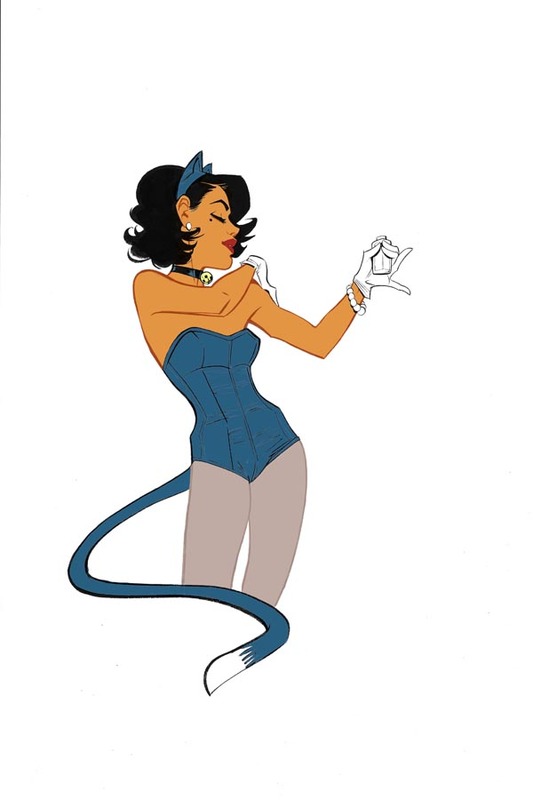 Did you know at the time that this was a character you wanted to use in a comic, or where they just for fun? Joëlle Jones: I had the story all ready by then. It was just a scheduling thing that kept me from working on it, but I had to get it out of my system somehow. 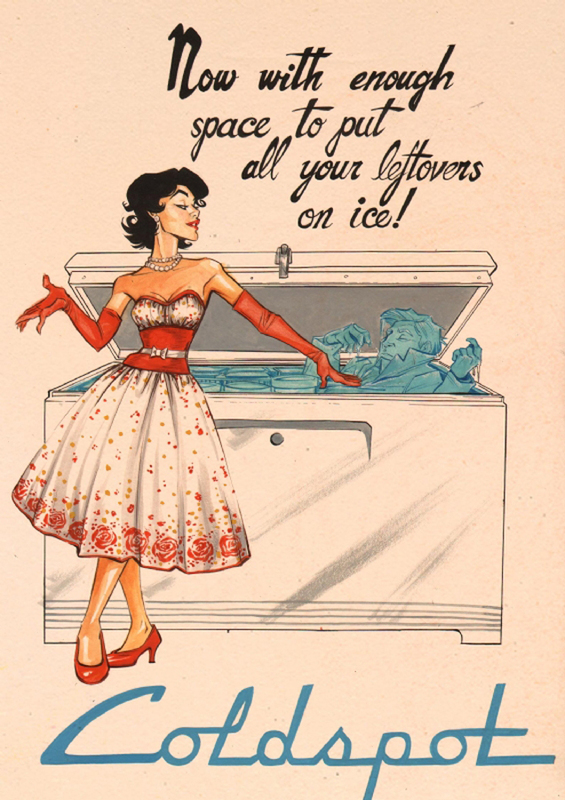 And I loved the ads from that time period, so I thought it would be fun to encapsulate what I wanted to do with the Lady Killer story in these ads. I would do them in my down time and had a blast. So it was the story that inspired the ads. Jamie S. Rich: At that time only we knew that for sure. We knew this was a character for a story we eventually wanted to do. But they stood alone as illustrations so it didn’t matter. Joëlle: Yeah, if nothing happened with it, they were still fun things that I got to do and I got to work out those demons and the niggling story in my head. And people responded to it, which was a surprise to me but it gave me confidence to keep working on it. Jamie: Well, that same year you were a guest at San Diego (Comic-Con) and you were selling those prints. It was really funny because I got to witness some of the reactions. And it’s very apropos of what is happening now. A guy would walk up and say, “So where are the prints of the guy killing the girl.” This happened more than once. Joëlle: Yeah, I get called a man-hater quite a bit. Jamie: It’s like, turn on the TV! You can find a story about a husband killing his wife. How much of the original concept changed over the years as the two of you continued working on the specifics of the storyline? Joëlle: I’d say the approach has changed. I think in the beginning it was more of a comedy. I don’t think it was as dark. Josie has changed a lot. She’s not as goofy and silly as she once was. I think originally she was more like Goldie Hawn from Laugh-In. She’d changed from that to being really quite capable. Jamie: And we had talked about her being like Marilyn Monroe’s character in How to Marry a Millionaire. I think one of our original concepts was that she was going to be very chatty in social situations and sort of play the dumb girl. And now that we’re actually doing it… Well, at first I was writing a lot of dialog for Josie, and Joëlle got her hands on the script and was like, “Gone, gone, gone.” Most of the lines I wrote for Josie were eliminated. 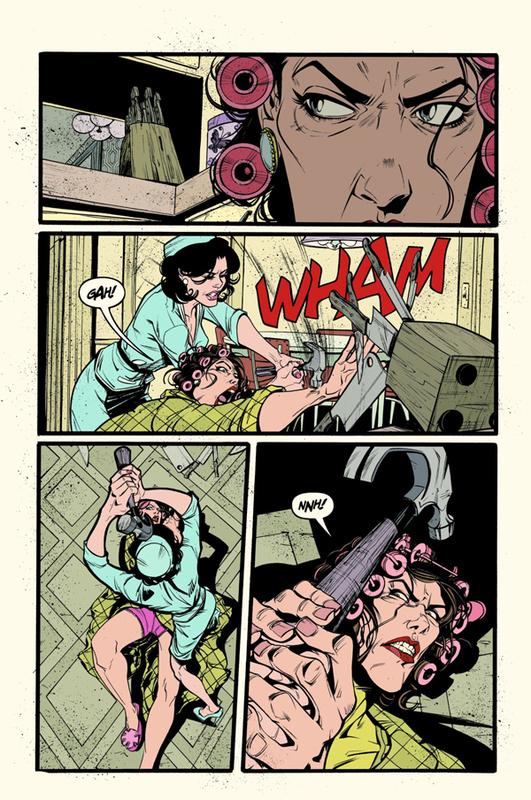 Lady Killer #1 starts right into the action. She’s got the family life and the kids, but she’s also working as an assassin and taking these jobs. Are you ever going to tell the story about how she got to this point? Jamie: When Joëlle first came to me with it she had a very clear beginning, so originally we were going to start there. But once we actually got down to it and Joëlle took over writing the actual script, it became more of a situation where we’re going to start in the middle. Joëlle: But naturally people will want to know the origin story, and I think eventually, maybe with the second arc, I might do that. But, it was like, I waited so long to be able to do this series, when I finally got the chance I didn’t want to write the origin story. I wanted to jump right into the action. I was really excited about it. Jamie: Well, we always knew that the first case was going to be at the Kitty Kat Club, so that stuck around. Joëlle: Because I liked the costume. Jamie: Which you originally drew in blue, but then Laura colored her in red, which is kind of fascinating. Joëlle: Oh yeah. Well, I’m not a slave to color. Speaking of Laura Allred, your colorist, what was it like working with her and did you give her much direction? Joëlle: Zero. When we brought her on it was because I loved her color sense and I wanted to see her go and do whatever she wanted. There was nothing… Oh, I just gave her my first color note because it takes place in Seattle during the World’s Fair, and during it the space needle was orange. So that was my first color note. But it’s only research stuff, you know – I’ve done some research and this thing is this color. You didn’t give her any notes on any of the patterns or wallpaper? Joëlle: No, but the wallpaper in the first issue is actually the carpet from The Shining. And I didn’t want to tell her that because I didn’t want it colored like The Shining. But it’s the same pattern, which was hand drawn. Everyone at my studio was like, “You know you can digitally drop that in.” But I didn’t want to. I mean, I come from a fine arts background, so when I finish the page I like it to be a piece of art that’s fully finished that someone can maybe purchase or that I can keep, so there’s nothing digitally done to it. I notice you like to throw around a lot of ink spatter on your artwork. Is that to create a certain mood? Joëlle: Yeah, I was hoping that would come across because I ink really clean and there’s not a lot of scratchy lines and it just doesn’t feel done if it’s all clean and nice. I like to use the spatter because it brings in a dimension, a grittiness that I think is indicative to the story. It’s all very clean, but then there are going to be these messy bits. Do you make any changes to your art style depending on whether Josie is at home with the kids or out on assignment? Joëlle: Well, I don’t use as many “camera angles” when she’s at home. I keep it really static and uniform. And then I try out more ambitious camera angles and views when she’s out doing her thing. Hopefully that gives those scenes a different tone, whether the reader realizes it or not. I want to bring up Josie’s husband. I was a bit surprised he turned out to be such a nice guy, though he does seem blissfully ignorant of what Josie is doing all day. Joëlle: I love the husband. He gets some flak from people, but I adore him. I do think he’s blissfully unaware, but he’s a man of his time. He has simple tastes. He wants a beer and to watch TV. The one thing I don’t want to mess with in the series is that she loves her family. It’s the one thing she keeps sacred. He’s a good guy and they love each other even though she’s in a subjugated role for the time. I think having that solid base with all of the darkness kind of lightens it up and gives the reader something safe to go back to. Jamie: When we were first going through and talking about the origin and how Josie gets into this line of work, his obliviousness was part of what made her able to pull it off. So he was always meant to be that comedic 1950’s dad where he’s doing his job and he thinks he’s providing for his family, meanwhile he has no idea how much his wife does all day to keep the family on track. Joëlle: Yeah, and I don’t want him to be a Homer Simpson type; a big dumb idiot. You know, there’s a lot to respect there. My favorite bits to write are when he’s giving Josie advice or when he’s telling her how to do things. That cracks me up, because she’s quite capable but she just listens to him dutifully. Jamie: He treats her well and he treats the kids well. He just doesn’t get what she does all day. Even if she wasn’t an assassin, it takes a lot. I’ve noticed that her assassinations are always quite elaborate. She isn’t much for sneaking around in the shadows, slitting someone’s throat quietly, and then fading into the night. Is this because you wanted to draw a lot of action? Joëlle: I like big elaborate fight scenes. I grew up reading comics and with a lot of superhero comics I found myself glazing over during the fight scenes. And when I watch film, if it’s a good fight scene, I’m invested. There’s emotion tied to everyone’s movements and things are happening. I wanted that sense in the fight scenes for Lady Killer. It’s not there just to get me from point A to point B; it’s there to tell more of the story and to invest you into the characters. I enjoy that stuff because there’s a lot less dialog there for me to write and I like telling stories through body language. Jamie: We haven’t said this on the record yet, do we want to say the “no gun” rule? Joëlle: Yeah, we can. I don’t want her to fight with a gun. I like the idea that she’d be crafty and just kill people with one she found. She’s a resourceful woman of her times. Guns are so easy and it’s more fun for me, especially, coming up with ideas in figuring out how she’s going to kill this guy. Jamie: Yeah, the first issue opens with her using poison and that goes wrong and she has to figure out, “OK, the poison’s been spilled so what do I do now?” That kind of thing is fun to write; what situation can we put her through and how would she use that scenario to take care of the job? Joëlle: And it forces you to be more creative. So Joëlle, I know you’ve been working with Jamie, but this is really your first writing gig. How is that going so far? Joëlle: If you asked me yesterday I’d say it was going bad. But today is good. I think it’s the same for all creators. Joëlle: I don’t know. Most writers I ever talk to are pretty cocky, so I assumed it was quite easy. I realize it’s worth it in the long run because I get a lot of really good editorial advice and I’m trying to get Jamie to understand what I’m trying to go for. But while writing it, it’s exhausting. 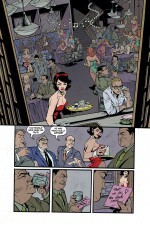 And I think on this last issue I felt a lot of pressure because I wanted to wrap it all up in case it’s a miniseries. Or even if it becomes an ongoing, I want to wrap up this story arc and I’ve just left so many things in the air. I have to figure out how to wrap it all up and make it big and grand, all in 22 pages. 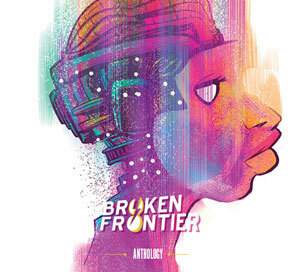 So you’re still not sure yet if this is a five-issue miniseries or if you’ll continue it right into an ongoing series? Jamie: We would like to keep going with it. 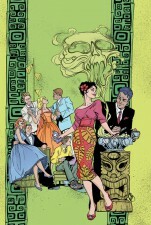 I get the sense that Dark Horse is ready to commit to it and the orders for the first issue have done well enough. But it comes down to a philosophy that I adopted a long time ago, that even if you are committed to a series you have to make sure there’s always a stopping point so that if something happens, you’re not leaving your readers part way through. 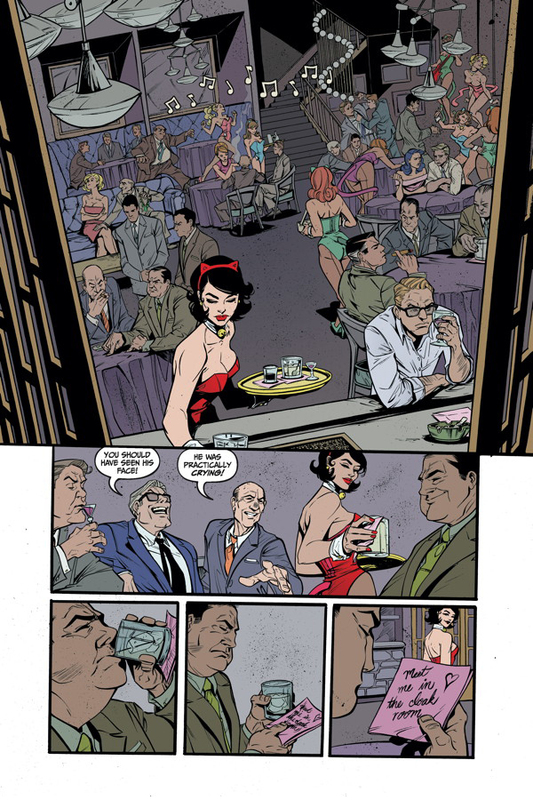 Joëlle: I’m still very excited about Lady Killer and I still want to explore the world because it’s fun for me. So if Dark Horse says we can keep going, I could have fun for a long time with it. Jamie and I have been chatting about it for years and it’s been a blast, but now that we’re actually doing it, it’s even more fun. 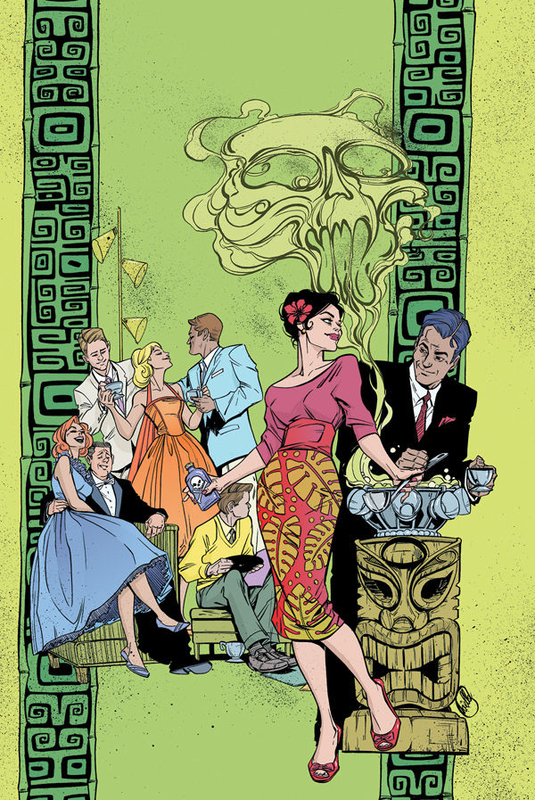 If you haven’t already, read our verdict on Lady Killer #1 here.